Friday February 1,2019-Self-proclaimed National Resistance Movement (NRM) general, Miguna Miguna, has revealed how Amani National Congress (ANC) party leader, Musalia Mudavadi, chickened out during the swearing in of NASA leader, Raila Odinga as People’s President on January 30th, 2018. In his new book; Treason: The Case Against Tyrants and Renegades, Miguna said Mudavadi was opposed to the parallel oath-taking exercise from the onset. Miguna disclosed efforts to convince Mudavadi to support Raila's swearing-in were met with arrogance and rude responses despite all NASA leaders agreeing for the swearing in ceremony. He also revealed how him, Raila, Siaya senator James Orengo, former senator Johnston Muthama and billionaire Jimmy Wanjigi went to Mudavadi’s residence in Nairobi to try and convince the ANC boss to support the swearing-in plan. Raila, Miguna claimed, asked them to explain to and convince Mudavadi on the strategic rationale for the mock swearing-in exercise. "After I had reviewed the seven-page document with Mudavadi and responded to a barrage of questions, I said the following: “The struggle has reached a point where we must separate those who represent the status quo and those who would like to transform it; between conservatives and progressive radicals…” Miguna recalled. “You see Miguna, I’m a conservative. I’m not a radical. I represent and value the status quo,” Mudavadi responded, cutting off Miguna. He said when they insisted on Mudavadi to support the swearing in, he chased them out his office and told them he has another meeting. 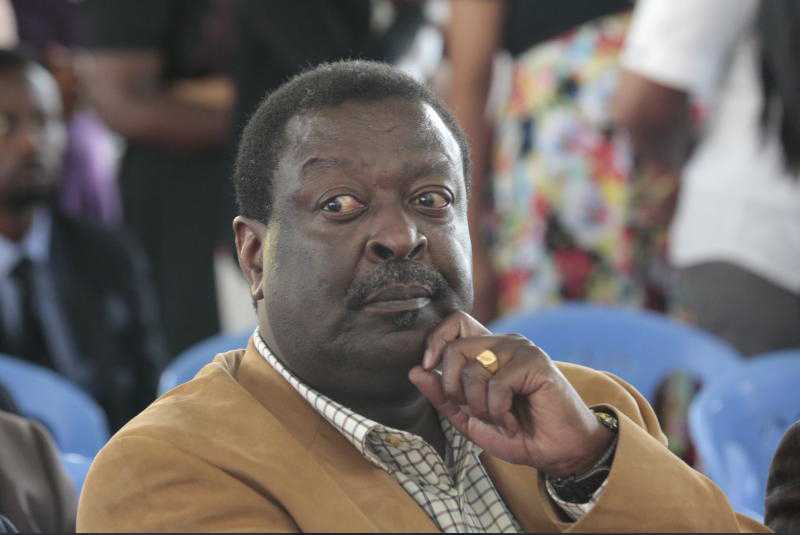 “I have another meeting,” Mudavadi said as he walked out, leaving Raila and the rest of the team in his office.